Planning a roadshow? Murrays Chauffeur Drive are the leading Irish chauffeur company with experienced, helpful operators and experienced, professional chauffeurs. We are the ideal partner to help you co-ordinate and plan your roadshow. 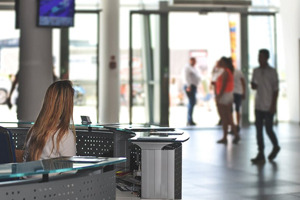 Our operations managers communicate directly with our clients to advise on timings, itinerary and choice of vehicles to ensure a seamless travel experience and successful roadshow for your organisation. 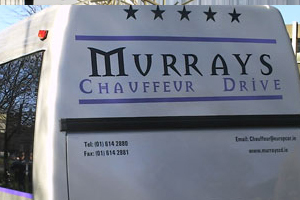 Get your roadshow moving with a phone call or email to Murrays Chauffeur Drive outlining your itinerary, timings, number of passengers, luggage and any other requirements. We will liaise with you to meticulously plan and execute your travel plans to guarantee a professional executive service for your guests that is second to none! Contact Murrays Chauffeur Drive and receive an accurate quote for a professional chauffeured roadshow to suit your needs and budgets. 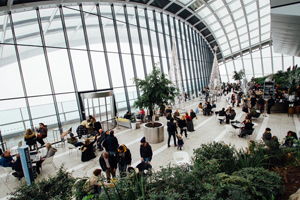 We will work with you from the start of your roadshow planning process to provide you with an efficient, versatile service from beginning to end. Relax in the knowledge that our staff, from operations managers to licensed chauffeur drivers, will transport you and your roadshow guests safely, securely and serenely for the duration of your journey and provide an experience that will reflect very kindly on your business. Contact our reservations team today for all your chauffeur requirements.